It’s been awhile since, I’ve posted. I’ve been focusing a lot on my FB Page. 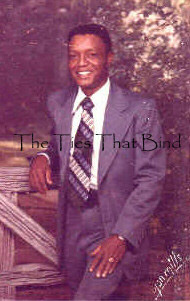 Feel free to follow me at The Ties that Bind Facebook Page. : any of a class of musician-entertainers of western Africa whose performances include tribal histories and genealogies. I consider myself a griot because I strive to document and share my family’s history. 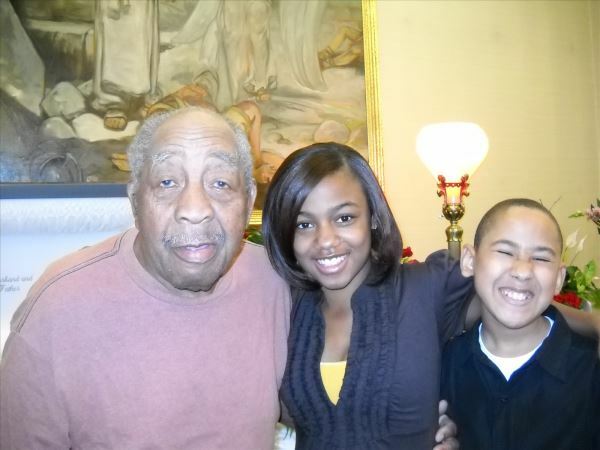 Yesterday my family and I laid to rest the mortal remains of my Uncle Clarence. He was a Master Gardener and excellent cook and most of all a beloved father and grandfather. I helped my cousin with the funeral program and updated my electronic files to show his death date. I looked for pictures of my Uncle Clarence. Which was hard because he was a quiet and solitary man. He did allow me to snap a few pictures of him down through the years. (Once, again, I need to do a better job of organizing my pictures.) I did find a good one of him with two other family members. Although I am sad that he is no longer with us in the physical realm. I do believe that, “He does now see God.” The pastor’s eulogy were truly a balm to my spirit. Even as I grieve, I’m bolstered by the fact that no one is ever truly gone, when they continue to live on in the hearts of friends and family. Take this time to document your family history and even more important, hug your family members, spend time with them, listen to them and tell them you love them. After finding the enlistment records of one of my other ancestors, it encouraged me to look at records I found many years ago. April 21, 1999 I sent a request to the National Archives and Records Administration, for the military records of W.E. Cox. I used Standard Form 180, “Request Pertaining to Military Records”. I provided his full name, social security number, DOB (Date of Birth), Branch of Service, Dates of Service and Service Number. (I belive that I found this information from his DD-214 (Discharge Papers). He had served in the U.S Army and U.S. Navy. I need to place this information within the timeline I have for him and also try to locate the addresses for his residence at the time of his enlistment and discharge. This will help me put some things in context and also show me where he was living. A Picture of “Bill”, as he was affectionately called by his wife in the 1970’s.